I'll be interested to see who plays Diana. In TV films of the Charles and Diana relationship the actresses who portrayed her rarely resembled her, and Naomi Watts was miles too short in that disastrous movie that came out. ^Agreed and I, too, look forward to that. They always get Diana wrong especially with the godawful wigs. Am I the only one who gets bored with this series? At least for me there is no hype. I already know what will happen. And the old generation at least is more interesting but Camz and Charles again?!?!? There already have been numerous TV films and the clunker of a movie with Naomi Watts. I would like to see more of Princess Anne's situation. She got married first. ^^TBH, Alex, I haven't watched it this season, so, yeah, it's not so exciting. No buzz on it anyway. Will they cover APB's affair with Princess Anne? old generation scandals are fun but charles/camilla/diana stuff are a interesting stuff in their own category. the author of this series have my respect! if he portrait charles being in love with camilla since since he was 20, he's saying no lie (according to both charles & diana). i'm sure seeing camilla, diana & fergie scandals will be very amusing. Charles had other women in his life. I think he loves himself the most. Camila had a face like an old boot even when she was young. 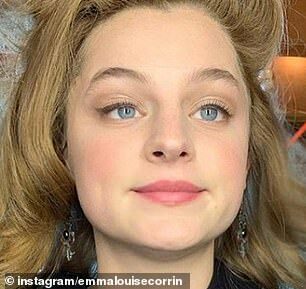 That actress signed to play her is good looking. Don't know anything about Emma. At least she's young and pretty with great eyes. Don't know if she's got the height, the voice, nose and the charisma to play Diana. We'll see! Hope they don't fit her with a ghastly blonde wig! Emma is a total newcomer, she's been in barely anything, she has only 3 credits or so to her name. I think it's good they chose someone so unknown and new on the scene. I think Emerald should have been cast as Kanga Tryon. I hope Charles other ladies in his life are featured and it does not make it seem as if he had only two serious relationships. 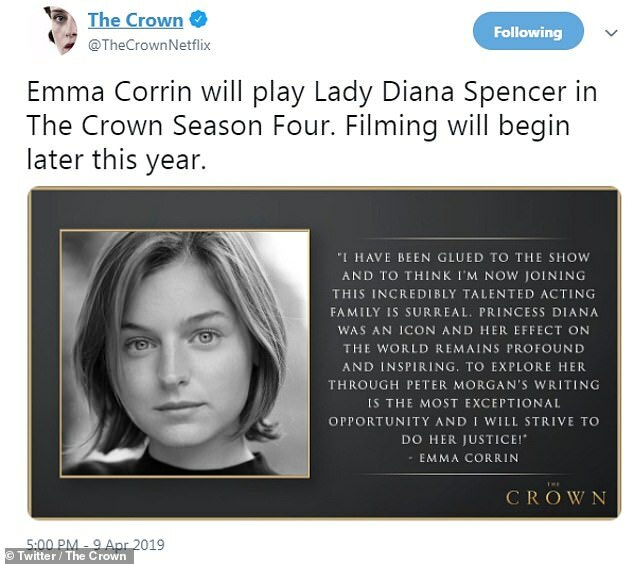 Well, I do hope Emma makes a good job of portraying Diana, and I'll also be interested in whose point of view the script is going to show in the episodes between Diana and Charles. But 'striking resemblance'? Really? She hasn't got Diana's nose or her height for a start! She looks more like PD than any of the lousy bewigged ones so far. Gosh, I hope they don’t do the wig thing.